my B.O.B. - Cierra Thurman — myblackbox co.
We were happy to introduce Cierra, author of "My Life: The One He Never Got to Witness" through our my B.O.B. campaign on Instagram! 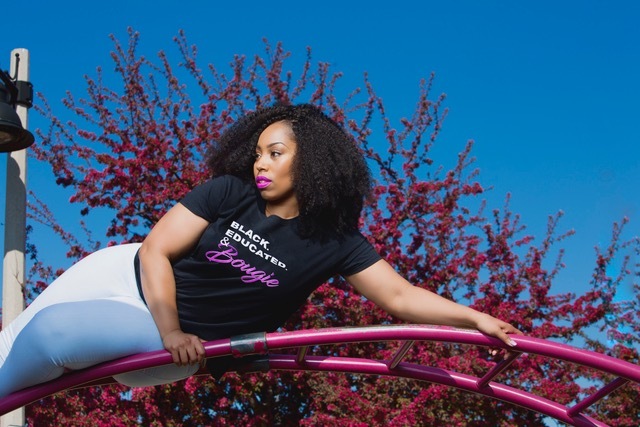 This campaign brings awareness to Black businesses from the owner's perspective. At blackbox we believe it's important to know the vision and purpose behind a business. Through our blog, we can dig deeper into their stories and provide a fuller perspective with you! Through the untimely and tragic killing of her father, Cierra faced many challenges and struggles while growing up in a gang infested Chicago neighborhood. Determined to make it out and share her story with others, Cierra pinned her book My Life. She also created her publishing company, Written Ambition Publishing, to help other authors share their talents and stories as well. We are so sorry to learn about the tragic killing of your father by the police. What is one of the most profound things that comes to mind to describe the woman you are today from this tragic event in your life? My father was tragically killed by the Chicago Police when I was a little girl, which forced me to grow up as a 'Daddyless Daughter'. He was in our home, he was unarmed and he was shot five times in his back. Today I am a police officer myself. I know first hand what it feels like to be victimized by the system. I know how poor black people feel in poor communities when it relates to the police because I was one of those poor black people. I believe my experiences have made me more compassionate and I use my authority to affect positive change in the communities I patrol. If I had to use one word to describe the woman I am today, I would say I AM RESILIENT. At what point did you decide your story was important enough to share with others? What pushed you to bring your story to life being your published book? I've been writing since I was a little girl. It is truly therapeutic for me. I never intended on publishing my first book, My Life: The One He Never Got To Witness. It was my mom who encouraged me to share my story, she believed it would help someone else in a similar circumstance. It was her encouragement that helped me realize that my story is not just for me. I went through my peaks and valleys in life to share my journey and lessons learned along the way. 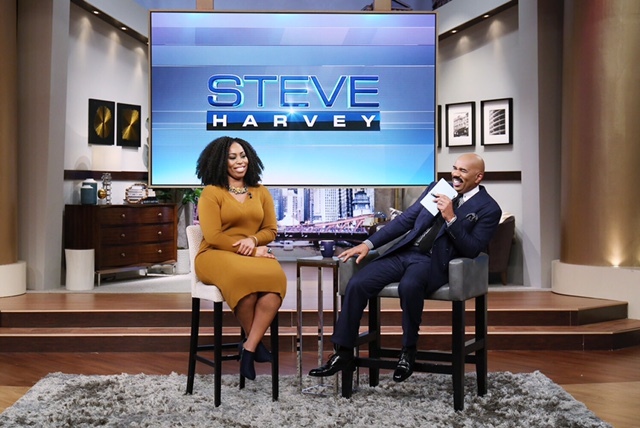 I shared my upbringing with you in my first book and then I shared my painful breakup with you in my second book entitled, Sometimes the Breakup is the Blessing, when I appeared on Steve Harvey Show. What has been the hardest thing to overcome in publishing a book? The hardest part for me was taking my mask off and truly being vulnerable. From the outside looking in, I appear to have it all together. The world usually gets to see the polished/made up version of me. But there was still a little girl inside of me who still needed to be healed and I needed to get to the root of my pain. The pain I often hide behind my smile. Being my authentic, transparent self was not easy, but in sharing my story, you get to see a side of me that the world never sees and experience my growth. What advice would you share with other writers who may be stalling for whatever reasons in publishing their work? I would tell the writer that we all have a story to tell and they should just start writing. Some people are not sure how to go about the writing process. Visit my website cierrathurman.com and download my free eBook "Birth Your Book". It is absolutely free and walks you step-by-step through the writing, publishing, and marketing process. I share how to best write your own story and provide fool-proof writing tips, how to create a writing schedule and tips on the ins and outs of the editing process. I would tell them "Now it’s your turn! Be ready to take notes." How does your publishing company, Written Ambition Publishing, help new authors bring their work to life? As a result of working with Written Ambition Publishing, aspiring writers become published authors, gain exposure on radio and television and get booked for paid speaking engagements. I'm looking for individuals who are interested in sharing their story with the world and drastically transforming their lives. Are you someone who wants national exposure, become a published author and travel the world and get paid to share your story? If so, Written Ambition Publishing can assist you in profiting from what you love. Your immediate goal should be to find your purpose in life. Despite your circumstances, it is your responsibility to discover your passion and share your gift with others. It was such a pleasure learning more about Cierra and her ambition to help other authors share their talents and stories. We can't wait to see what else she has in store with her writing and also what other great authors will be discovered via Written Ambition Publishing. Older PostFrom the Founders: Together We Support Black Business!